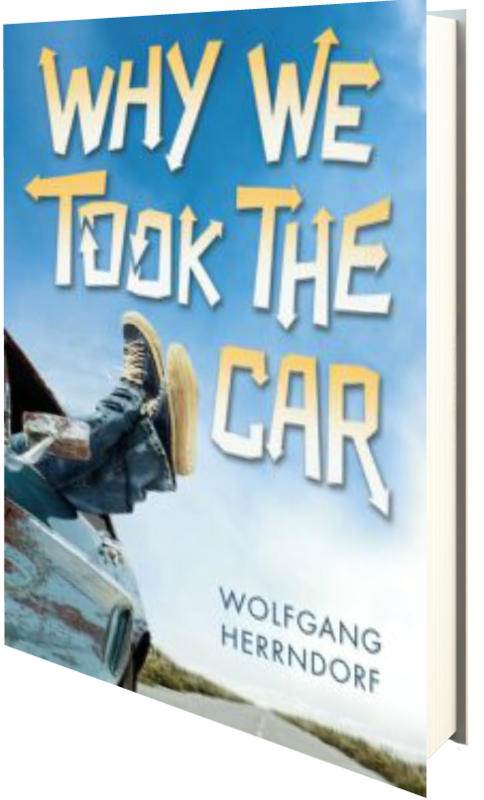 From Goodreads: A beautifully written, darkly funny coming-of-age story from an award-winning, bestselling German author making his American debut. Mike Klingenberg doesn’t get why people think he’s boring. Sure, he doesn’t have many friends. (Okay, zero friends.) And everyone laughs at him when he reads his essays out loud in class. And he’s never invited to parties – including the gorgeous Tatiana’s party of the year. Andre Tschichatschow, aka Tschick (not even the teachers can pronounce his name), is new in school, and a whole different kind of unpopular. He always looks like he’s just been in a fight, his clothes are tragic, and he never talks to anyone. But one day Tschick shows up at Mike’s house out of the blue. Turns out he wasn’t invited to Tatiana’s party either, and he’s ready to do something about it. Forget the popular kids: Together, Mike and Tschick are heading out on a road trip. No parents, no map, no destination. Will they get hopelessly lost in the middle of nowhere? Probably. Will they meet crazy people and get into serious trouble? Definitely. But will they ever be called boring again? This novel captured my attention from the very first page as we meet our main character, Mike, in an interrogation room. He is very candid, and gives are overview of his surroundings, complete with the blood that is soaking through his shoes. When I first read that, I thought to myself that he was being overly dramatic, but readers soon find out that this is not the case, that there is literally blood soaking through his shoes… and then he passes out. Of course I wanted to know right away how Mike came to be in this situation, where the blood came from, what he had done to be detained by police; the usual questions, and so I began to tear through the pages, enamored by the story. But, whereas the beginning of the novel definitely has a hook, the middle soon began to lose my attention. Mike and Andre decide to take a stolen car and just drive, for no real reason aside from boredom, a lack of parental supervision, and the hurt of not being invited to a specific party. So obviously the next best idea is to drive around in a stolen car, one you barely know how to drive, and to have no real destination in mind aside from leaving the town for a while. While Mike is a “follow the rules” sort of tween, Andre has been in his fair amount of trouble, coming to school drunk on many an occasion, stealing cars, etc. The two are not friends by a long shot, but suddenly Mike finds himself hoping into a stolen car joy riding. Perhaps his father leaving on “business,” his mother’s leaving for rehab, and his lack of an invite to the girl of his dreams party were the final straws for Mike, but for me, it was all somewhat unbelievable. The adventures the two share as well were a bit on the “I don’t think that’d happen” side, and so I soon began to lose interest in the novel, which is a shame because the beginning really intrigued me. While the novel does come full circle, starting with the police station, back tracking to the events that lead up to the police station, and then surpassing it, in the end, I just wasn’t impressed with the reason behind Mike’s capture by police, or his antics thereafter in school. Perhaps it all just a bit too juvenile for me—I do think a MG reader would enjoy this novel straight through, but I definitely felt like it lost a lot of steam as it continued. Three stars. Scholastic and Arthur A. Levine Books have been extremely gracious in allowing me to read an ARC of this novel, via Netgalley, prior to its release on January 7, 2014. From Goodreads: If I Stay meets the movie Ghost in this first book in a teen duology about a teenage-girl-turned-ghost who must cling to the echoes of her former life to save the people she left behind. 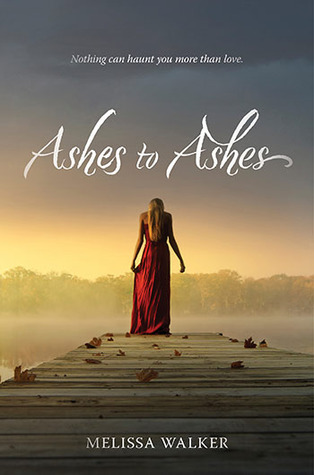 While I had high hopes for this novel, especially with its claim to be a mix of the novel If I Stay and the movie Ghost, I felt like Ashes to Ashes moved much too slowly for me. Likewise, I didn’t really feel any connections with the characters. Callie dies before we really get to know her, or her friends, for that matter, and once she’s dead, she behaves very much as you would expect a young child to behave when told they can’t have something. She throws some tantrums and goes off and does whatever she wants, pushing caution to the wind, over and over again. In truth, I spent much of the novel highly annoyed with Callie because she continues to make the same stupid mistake while ignoring not only her inner conscious, but also her guide, Thatcher. The fact that Thatcher continually keeps Callie in the dark, refusing to supply answers or clarification, did little to put him in my good graces, either. Instead, he only frustrated me because there seems to be a disconnect and readers don’t know why. And, instead of answers, the same scene plays out many a time, nearly lulling me to sleep: Callie messes up and is really sorry. Thatcher is angry; he tells her not to do it again without really giving any concrete reasons why. They make up. Then, Callie does it again and is really sorry…. By the third time this sequence occurred, I was ready to put the book aside. I just felt like nothing was truly happening in the novel; I had no connections with anyone, and we rarely saw Callie attempting to comfort anyone still left on earth—the aspect I really wanted to see. And then? Walker surprised me with her quick and fast ending—one I wasn’t expecting but that, in retrospect, makes sense. I should have seen it coming, but I didn’t, and this surprise actually brought this novel up a notch in my esteem, clarified a lot of my original issues, and interested me to the point that I actually would like to read the sequel when it comes out. So in the end, while I did finds it someone trivial and stagnant, Ashes to Ashes did throw me for a loop, and as it only takes one small event to really change a person’s perspective of a novel, I liked it, overall. Three stars. HarperCollins Publishers has been extremely gracious in giving me an ARC of this novel, during NCTE, in exchange for an honest review prior to its release on December 23, 2013. From Goodreads: Terror strikes the Celtic inspired kingdom of Nemetona when barbed roots breach the veil of a forbidden land and poison woodsmen, including 15-year-old Lia’s beloved father. Lia and three others embark on a quest to the forbidden land of Brume to gather ingredients for the cure. But after her elder kinsman is attacked and poisoned, she and her cousin, Wynn, are forced to finish the quest on their own. I’m not necessarily a science fiction or fantasy buff myself, but this is a very well written story that follows Lia as she embarks on a journey into the forbidden forest of Brume. Within this fantasy world, evil exists in a very real manner, and it is ever encroaching on the people of Nemetona. Filled with magical creatures and situations, the novel deals with many intense situations, but I personally didn’t really connect with the characters very well. I honestly think this has to deal with the fact that science fiction and fantasy are usually hit or miss with me as my imagination lacks a bit when it comes to alternate worlds and universes. As I can’t really see it in my mind, I sometimes struggle to see what the characters are experiencing if it’s not immediately tangible in my own life, and so I sometimes get lost in the mix of it all. Truth be told, this isn’t any fault of the author, but rather a personal quirk, and I thought this novel, overall, was very well written. Had I more of a liking for sci-fi and fantasy novels, I’m sure I would have enjoyed this one much more, but as it stands, I still really liked it and think that true sci-fi and fantasy lovers will thoroughly enjoy this novel. Three stars. From Goodreads: Nathaniel Hewitt is a Patriot and resolute supporter of the Glorious Cause, fighting for liberty and self-governance for the American colonies of Great Britain. When he joins the newly formed Continental Air Cavalry, he quickly establishes himself as one of America’s best fliers. Striving for success against the British kites in the air undermines his efforts to court Constance Whitegate, the daughter of the most vocal loyalist in South Carolina. Together they must stay unified and steadfast in the war that threatens to consume them. If you love history with a bit of a twist, then this is definitely a novel for you. 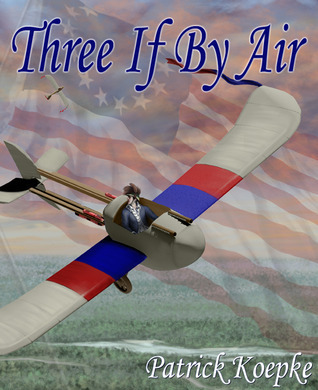 Three if by Air adds in the fantastical element of an Air Cavalry to the Revolutionary War, but it also still gives a fairly accurate portrayal of the many events that lead up to America’s freedom from British rule. Beginning with the Boston Massacre, this novel follows the life of Nathaniel Hewitt as he joins the Cause and fights for liberty from Great Britain, and with his acute attention to detail, Koepke draws his readers in from the very first page as we begin to learn how truly dire life was for those in the colonies. Nathaniel Hewitt is a very well fleshed out character, and Koepke does a great job making him real for us as readers. We follow him closely throughout the War, and though the novel is a tad long for my tastes, I really enjoyed this in-depth look at our hero, as well as the alternate look at a battle we’ve heard so much about in our history classes as young students. I’m not really one for mechanism and scientific explanation, though, so I personally found some of the information regarding the Continental Air Cavalry to be beyond my attention span, but the story itself intrigued me more than enough. It’s the idea of “what if” that really gets me as I read this story. Though a little early for the advent of gliders, in terms of history, the Air Cavalry really added to this alternate history, and the twists it brought about (when it wasn’t being technical) were quite interesting to me. Three stars. From Goodreads: Leave behind your preconceived ideas, forget the horror stories and disregard everything you think you know about vampires. For centuries the debate has raged; are vampires real? There has been plenty of myth and superstition regarding vampires but not a lot of truth or answers. In a unique piece of work, Bektamun a 3000 year old vampire, puts to rest all the myth and finally reveals the truth about the legendary creatures known across the globe as vampires. Vampires Revealed is a journey of discovery. Never before have humans had and an opportunity such as this. To know the unadulterated truth, for every question you may have ever had about vampires to be answered. This is a novel for people who love vampires. It’s well written and acts more as a guide book than an actual story, but it still draws the reader in and keeps his/her attention. Bektamun, a 3000 year old vampire, goes through the many myths and lore that exists about vampires and debunks some, verifies others, and sheds light on some the reader probably hasn’t ever thought to ask. This is written almost like a conversational journal where Bektamun tells her life story, including testimony from her fellow vampires, though not all of them are as excited to share their stories and knowledge with us humans. 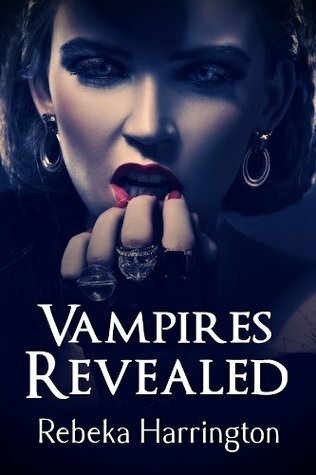 It’s not a terribly long read, and it definitely made me think about all the different things I’ve heard about vampires over the years, which was fun. Some of the revelations are extremely humorous, while others are more down to earth. Overall, it was an enjoyable read and if you’re looking for something interesting and quick to read as Halloween approaches, I suggest checking out this story. Three stars. 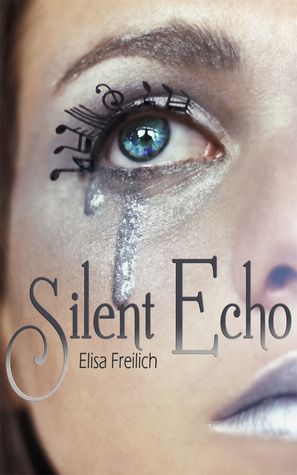 From Goodreads: Haunted by silence, a mute teenage girl is mysteriously given back her voice … and it is divine. I really liked the mythology piece of this novel and I think it’d be great for teens to read, especially if they’re studying the topic in school, or if they’re extremely interested in mythology, as many are since Percy Jackson hit the scene a few years back. From my own studies of mythology in school way back when, I knew what Sirens were, and of course, I’ve read The Odyssey AND all the Percy Jackson books, so my definition of them is a lot more refined than someone who hasn’t studied or read mythology, but even so, I learned so much more about Sirens in this novel than I ever have before, and I thought that was extremely interesting. 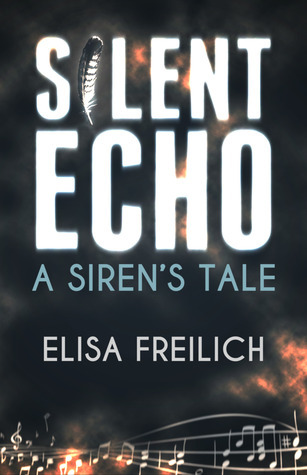 I think it’s safe to say that most people know Sirens have a beautiful mesmerizing voice that lures men to their deaths, but most probably don’t know why they turned evil, and I really enjoyed Freilich’s rendition of what happened after Odysseus, bringing the story into the present, captivating the reader with this tale of good versus evil. Now, potential readers already know from the synopsis that Portia is a Siren, unbeknownst to her, and therefore she’s going to struggle immensely with the power she has. She’s going to make bad decisions, she’s going to have trouble controlling her voice and reactions, and, if her distant relatives have anything to do with it, she’ll lose her way and wreak havoc on the world. Thus, readers realize that Portia, while initially very likable, is going to do things, say things, feel things that are going to make the reader dislike her. It’s part of being a Siren. Knowing that going in helped me as I read because I knew what she was, and while I really hated some of the things she does, and she tainted my feelings about her as a character, I knew that it wasn’t her true nature, but the Siren taking over. There is an outside force at work here, and while it’s easy to judge Portia and dismiss her as evil and dislike the story, in the end, this is a novel about Sirens and their power to ruin people, so I highly stress that readers remember this, otherwise it will be extremely easy to write off the novel and dislike it due to the heroine. Now, I’m not making excuses for Portia, and her behavior definitely put me on edge as I read. Yes, I lost some respect for her, and at points I wanted her to die off in order to stop the hurt she was causing, but… I understood where this angst was coming from, which is why I still liked the novel in the end, whereas I usually end up disliking books where I lose respect for the main character. Also, Portia isn’t always evil, and the end of the novel does bring things full circle, in a way, so I can’t actually say I dislike her. The one aspect of the novel I did not enjoy was the verse interspersed throughout. Portia loves music, as does her beau, Hunter, and they sing to each other, a lot. As someone who doesn’t listen to music or thoroughly enjoy poetry, I struggled with this. The versus themselves seemed quite juvenile to me, and the lack of a melody I could literally hear turned these verses into rhyming poems that, to be quite honest, I would expect from an elementary/middle school child. Now, the main characters are teenagers, and I think teens probably won’t mind these verses as much, but as an adult who teaches high school, including poetry, it was difficult because not all poetry rhymes, nor should it, and, well, this aspect just wasn’t for me. Overall, I think this was a very interesting story that many MG and YA readers will enjoy, especially with it’s mythological aspects. Three stars. Diversion books has been extremely gracious in allowing me to read on ARC of this novel, via Netgalley, prior to its release on September 10, 2013. From Goodreads: Saraqael hadn’t intended to fall in love with Kate. It shouldn’t have even been possible. His kind didn’t experience emotion, and they certainly weren’t supposed to become attached to humans. When he discovers that Kate’s dying and there’s nothing he or her human doctors can do for her, Saraqael realizes how deep his feelings for her run. And he understands just how far he’s willing to go to save her. He vows to search until he finds a way to save her life. With the help of his best friend, Quincy, he embarks on a quest spanning the Estilorian plane…a quest that will forever change the future of his kind. This novelette is a great short story to pique reader interest. About 30 pages in length, it tells the background story of Saraqael, an Estilorian, and his undying love for Kate, a human, a bond that’s unheard of, especially as Estilorian’s aren’t supposed to feel, let alone love. 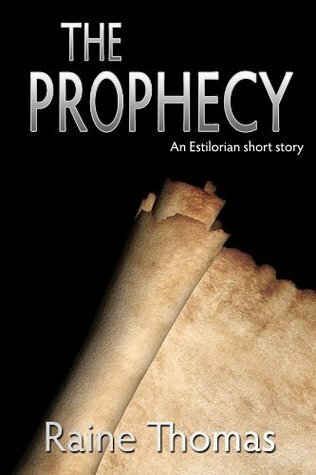 This is a very fast read, my first taste of the series, and I’m definitely interested to know what happens next, especially with this glimpse of the Estilorian prophecy. While this novelette isn’t long enough to make me fall in love with the characters, it is just a taste, afterall, it does give an overall sense of their dispositions and some insight into their background, though it raises a number of questions including that of who the Estilorian’s are, and where they hail from… and I can’t wait to learn the answers. And, I can already tell that the world building Thomas will include in the full series is going to be epic based on this quick glance of life on Estilorian and what the people there are capable of. Having read the bonus chapter from Becoming at the end of this novelette, I must say that I am glad I read the prequel first as it really helped, and I can’t wait to read the entire series. Three stars. I purchased this novelette from Amazon. From Goodreads: There’s a girl who could throw herself head first into life and forge an unbreakable name, an identity that stands on its own without fathers or brothers or lovers who devour and shatter. Now, in the wake of the Headmaster’s sudden death, the whole academy is in turmoil, and Ophelia can no longer ignore the fae. Especially once she starts seeing the Headmaster’s ghosts- two of them- on the school grounds. Yet even in the face of certain death, Ophelia has a choice to make—and a promise to keep. She is not the girl others want her to be. But in Dot Hutchison’s dark and sensuous debut novel, the name “Ophelia” is as deeply, painfully, tragically real as “Hamlet”. 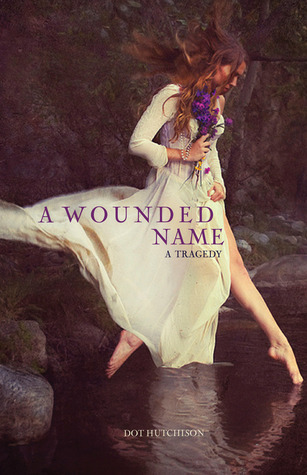 Though Hamlet is not necessarily my favorite, Dot Hutchison’s A Wounded Name takes a very interesting look at Hamlet from Ophelia’s point-of-view, interspersing some aspects of fantasy in order to give it a little lighter feel when explaining Ophelia’s final choice in the end. Of course, there are liberties taken and events out of sequence, with Ophelia present for confrontations that she wasn’t present for in the Bard’s play, etc., but overall it’s a good rendition that paints Hamlet in a darker, abusive light, much more so than in the original play, in my opinion. 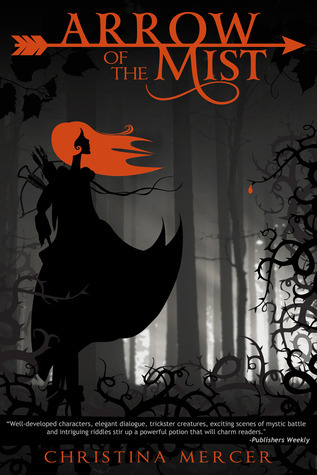 It does end with Ophelia’s death, but it’s not really a sad occurrence as Ophelia is moving on to what seems like a better place, a place brought up time and time again within the novel, adding elements of fantasy and myth where they weren’t originally, but working very well overall. To be honest, the only issue I really had with this novel was the back and forth nature of the characters’ language. At times it was modern, and at others it took on a more archaic feel, and that was jarring for me as a reader. I really think it should have been all or nothing, and since this is a modern story set in an American boarding school, I would have liked it all to be in modern language instead of morphing back and forth throughout the characters’ discussions. But overall, A Wounded Name is a good story, and I really enjoyed the element of fantasy that Hutchison added in, especially as the water calls to Ophelia from the very beginning, paving the way for the end. And, the fact that this novel followed Ophelia, giving readers glimpses into her mind and her actions when she’s technically offstage in the Bard’s play was fascinating for me, especially because I’m always interested to know what the other characters are thinking and feeling when I read a novel. I plan to recommend this novel to my students as we study Hamlet because it really does follow the play quite well and adds insight in places where the play leaves the reader wondering, and I think this might just make them a little more interested in Shakespeare. Three stars. Lerner Publishing Group has been extremely gracious in allowing me to read an ARC of this novel, via Netgalley, prior to its release on September 1, 2013. From Goodreads: Madison is an ex-con artist who has now lived by the rules for eight years following the tragic death of her fiancé. 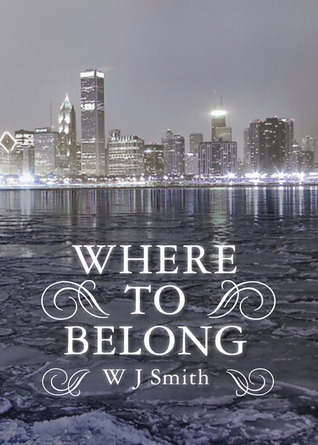 She has made a new life for herself in Chicago despite the challenges of honest work. Her world flips upside-down once again when she runs into her best friend that she left behind in a desperate attempt to escape the dangerous lifestyle they were leading, only to find out he is in deeper than she could have ever imagined. They are forced to team up with the hope to shield one another while still dealing with the abrupt separation that left them both secretly heartbroken. When not only her way of life, but also the life of her dearest friend is threatened by an old associate, will it be enough for her to continue as a law abiding citizen, or will she be forced back into the line of work that claimed the love of her life? Madison is now straight-lace, using a pseudonym to work security for a private treasury after the death of her fiancé, Morgan, and her long stint in jail. She’s content in life, contemplating dating again—Bradley, a single father has caught her eye, and vice versa. But, the planet has something different in store for Madison, and she soon finds herself face-to-face with her estranged friend, Skyler, a man she used to call her best friend. Of course, things take a turn for the worse, and Madison finds herself once again living on the other side of the law, aiding Skyler as she learns the truth about the accident that claimed her fiancé so long ago. Told in both the present and past, Madison and Skyler’s relationship is fleshed out in such a way that it’s impossible not to fall in love with them. They’re great characters, and they truly love one another, though it takes them far too long to realize it. Caught up in a web of deceit, both must find a way to break free from the underbelly of crime and the lord that dictates their every move, and the tale is fast-paced and highly interesting, if not completely plausible. I really enjoyed this story, but some aspects left me scratching my head—one such is the amount of time it takes for a car to sink in a large body of water. It’s far faster than one would think, and so there is a scene that left me a little unbelieving, but that’s few and far between in terms of the integrity of the story. It’s one of love, and I truly enjoyed it. However, there are a number of glaring editing errors in the Kindle version I read, enough to make the read a little haggard and less enjoyable had it flowed seamlessly together. But to be fair, this novel was queried for review nearly two years ago, so it is possible a newer edition with a more thorough editing is already available. I do hope so—and if not, it’s an easy enough fix should Smith choose to do so. That being said, the version I read contained a very compelling story, but the typos did take away from some of my personal the enjoyment overall. Three stars.